PARIS, France, December 11, 2015 (ENS) – Dame Jane Goodall travels the globe 300+ days each year – with a cow – a small black and white stuffed toy. 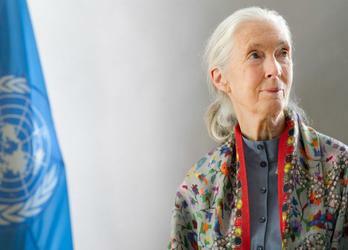 The British scientist and UN Messenger of Peace is also an animal activist. Cow also helps Goodall explain to the world the relationship between methane gas (CH4) and global warming. 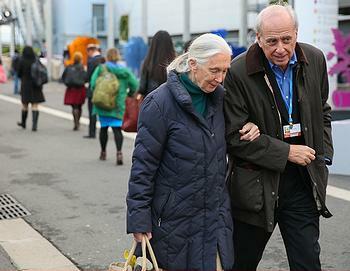 During the 2015 United Nations climate change talks, COP21, Dame Goodall and Azzedine Downes, president and CEO of the International Fund for Animal Welfare, came to Paris to discuss animals and global warming. The two talked conservation and answered questions during an after-hours event at the Paris Museum of Science and Industry. Both Goodall and Downes, renowned animal conservation thought leaders, are amazed that the world is not yet willing to seriously consider the climate consequences of the world’s ever-increasing appetite for meat. Yet they have hope. COP21 is the 21st meeting of the 196 Parties to the United Nations Framework Convention on Climate Change, UNFCCC. During the two-week meeting, which opened November 30, government delegates have been negotiating the text of a new universal, legally-binding climate agreement to limit emissions of six greenhouse gases. One of those greenhouse gases is methane. Yet, animal agribusiness and the impact of methane emissions on global warming was mentioned only once in the COP21 venue here in Paris, when the Humane Society International sponsored a side event open to all. Methane is produced during an animal’s digestive process and when animal manure is stored in holding areas. Methane emissions from animal agriculture are 12.8 percent of the EU’s total greenhouse gas (GHG) emissions and 10 percent of U.S. total GHG emissions. The EU produces 8.3 billion animals annually for food, while the United States raises more than 10 billion animals annually for food. Jo Leinen, a Member of the European Parliament representing Germany, was on the Humane Society International panel for the group’s event. He has long been a champion for both the environment and animal welfare. He decries the fact that animal agriculture usually hurts animals, human health, and the planet. MEP Leinen estimates that 76 billion animals are raised and killed around the globe each year for food production. “Meat contributes more to GHG emissions then worldwide traffic,” he says. “With a world of seven billion [people], and tomorrow 10 billion, if everyone eats meat like this we can forget about climate,” Leinen warned. Water utilization is another harm to the planet resulting from animal agriculture. The foods that we eat each have a “water footprint” – the number of gallons of water required to produce a pound of food. 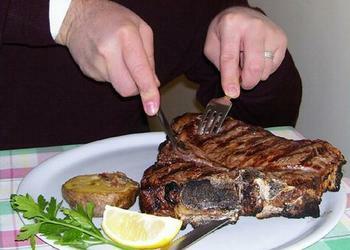 At least 1,800 gallons of water are used to produce one pound of beef steak. Putting animal cruelty aside, the amount of water used to produce meat and the impact of methane on global warming are only the beginning of meat production’s environmental harms. In addition, the Earth is scarred by land degradation, water pollution, and air pollution. Jon Rockström moderated the Humane Society International program and shared the panel. Rockström is a renowned climate scientist, 2009 Swede of the Year, and thought leader on the challenges of water resources, food production, health, and global sustainability. Although he worries about the impact on human health of antibiotics used in animal agriculture, he is optimistic. “If we get it right on food, we get it right for both people and planet,” Rockström said. Humane Society International is raising awareness in politicians, scientists, physicians and consumers. 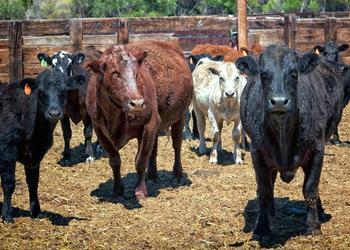 The organization is working to get animal agribusiness a landing place in multilateral agreements. MEP Leinen is already taking action in his capacity as President of the European Parliament’s delegation for relations with China. The message delivered by the handful of experts discussing animal agriculture and animal welfare on the sidelines of COP21 is clear. “Less meat, less heat” helps the environment, humans, and animals. Farm animals will not be mentioned in the 2015 Paris Agreement. But, advocates promise that agribusiness will be on the agenda of the post-Paris cycle.